New! We have added a CD-Rom to this book, at no extra cost. 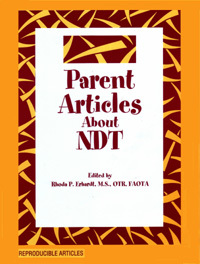 You can now print unlimited copies of selected articles to give to parents. * References are also included to help families learn more about the needs of children with disabilities, as well as the needs and roles of parents in the therapy process.